A simple pattern of Tibetan yoga and physical purifiicaton that increases health and vitality, clears the mind of conflictive emotions and makes our sitting meditation much more stable. Directions: Nearest BTS is Thonglor. then take a taxi or motorbike up Sukhumvitt 55 to Soi 10. Turn right and it is the first high rose condo on the left (about 100 yards along) with the circular drive (It says Hampton on the stone and iron gatepost. We will be meeting in the Library room, 3rd floor. Parking: Just past the condo on Soi 10, is a McDonalds and other restaurant complex. Turn left at the end of the complex. Parking is 100 Bhatt for the evening. Otherwise, there is free street parking WHERE MARKED on either side of Soi 10. 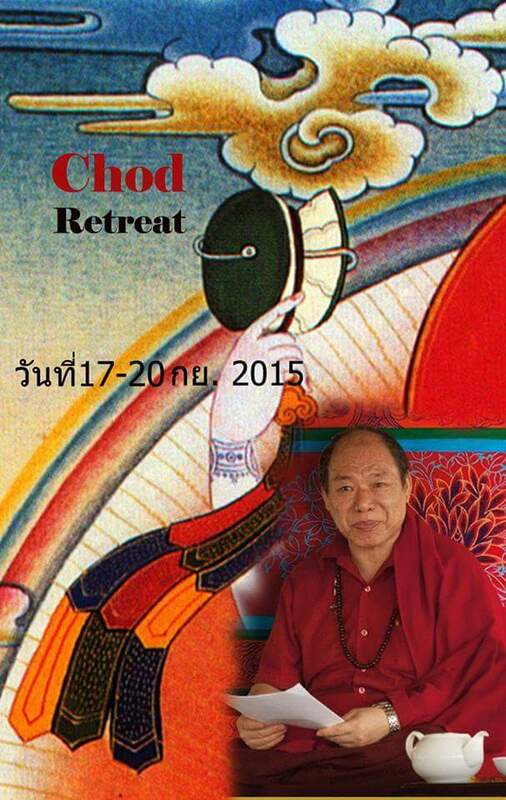 Rinpoche will also be available on Monday and Tuesday, by appointment, for Divination and healing sessions. What does it mean when we think of reality? What actually is this reality? 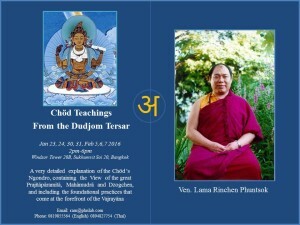 … By applying different techniques in relation to mind, body and wisdom you will reach the Great Completion. Oneness – crumbling all walls and limitations, we arrive at fruition fulfilling our potential. This class will include different Yogas and an explanation of profound wisdom of our true nature. Location: Welcome palace apartment (ram’s home). For directions please see below. Please feel free to call ram at 0819855564 or email at our contact page for more info and feel free to invite others who might be interested as well. 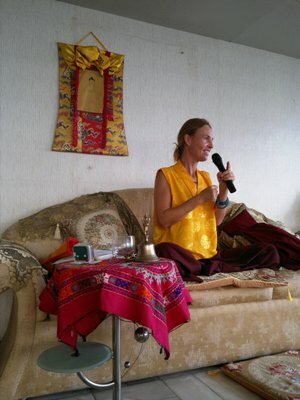 Lama Dolma (Jessica Carnein) is vibrant European female Lama with practical teaching approach from years of study and practice. Directions: Welcome Palace Apartment (Ram’s place) on Naret rd. (a one way street), off of Sriphraya road. If you are coming by Sub-way (easiest) you can take the Samyan station exit in front of the temple then catch a Taxi or take a Motorbike Taxi (20 Baht) from there by telling them to go to Bangrak Police station. If coming by BTS you can get off at Saladaeng station and take a taxi from there as well. You can just tell the taxi to come to the Bangrak police station if you are coming directly from elsewhere. Once at the police station, my building is an old white building just before the station, come on the 12th floor on the right side and you’ll see a big door and I’ll be in there. If you see a lot of Africans in the building it means that you are in the right building. Inside of us there is an inexhaustible reservoir of joy and energy. Using skillful methods and wisdom to work with the flow in our body opens to door to this source. Our divine qualities gush out. 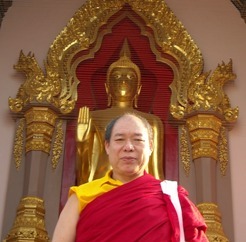 By doing so, our life become natural dance, an expression of our well-being and ease instead of a continuous struggle.